Researchers from the MIT’s Center for Energy and Environmental Policy Research surveyed over 1,100 drivers for both ride-hailing companies, and performed an analysis that included the cost of operating their vehicle each day, according to a research brief on the findings. It’s worth emphasizing that more than 80 percent of drivers surveyed by the MIT reported that they work less than 40 hours per week. “However, the vast majority of drivers report that the bulk of the miles they drive are for ride-hailing,” the research brief states. Calculating earnings after expenses are taken into consideration is weird, too. I’ve never calculated my earnings as a short order cook or even as a blogger this way, and really never considered to do so. Stephen Zoepf, executive director of the Center for Automotive Research at Stanford University and co-author of the paper, told Jalopnik the expenses that were taken into consideration are incurred from actually operating the car The decision to focus on expenses speaks to the fact that Uber drivers are technically contractors, not employees—a controversial aspect of Uber’s business model. The study could reignite criticism that Uber and Lyft don’t compensate their drivers enough. The study found the median profit from driving is $3.37 per hour, before taxes, and 74 percent of drivers earn less than minimum wage in their state. Drivers gross 59 cents per mile, the study says, but once vehicle operating expenses are factored in, profit falls to 29 cents per mile. When it comes to costs, about 40 percent goes toward insurance, maintenance and repairs, another 40 percent covers fuel expenses, while the remaining 20 percent is for depreciation, according to the study. Uber and Lyft both took issue with the researchers’ approach. Uber pointed to studies on median earnings of its drivers that shows a vastly higher figure. 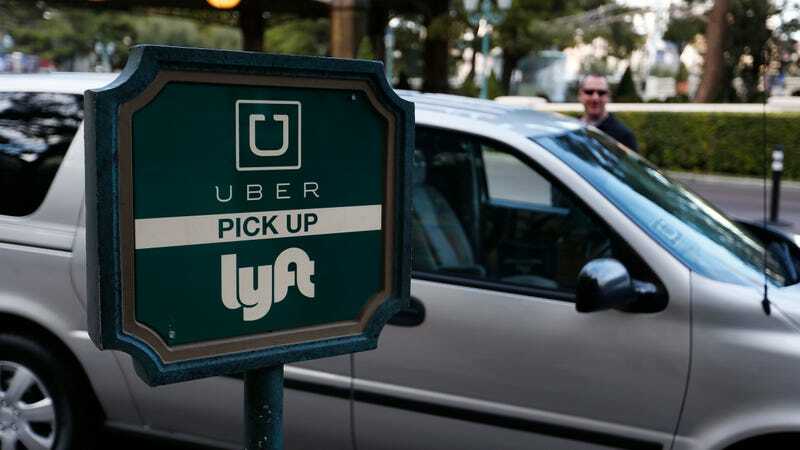 For example, in a survey by The Rideshare Guy, a go-to blog for news on the ride-hailing industry, Uber drivers reported earning $16.90 per hour. The next question then asks a driver how much of their total monthly income comes from driving. If an individual reported only income from driving in the first question, and then reports they earn 50 percent of their income in a month from driving, the study would conclude they earned half as much from driving from Uber, the company said, even though they earned double that in reality. Zoepf, in the interview with Jalopnik, said he just met with Uber on Friday, after the study was published. He said both sides agree on the costs incurred by a driver, but there was indeed a dispute over how someone would interpret the questions highlighted by Uber. Using Uber’s more optimistic interpretation of the question, Zoepf said he’ll likely crunch the numbers once again to “see what we come up with.” He said he still stands by the findings.